QSC’s first foray into the digital live sound mixer field shows you can have professional quality in a compact package, writes Morten Støve. 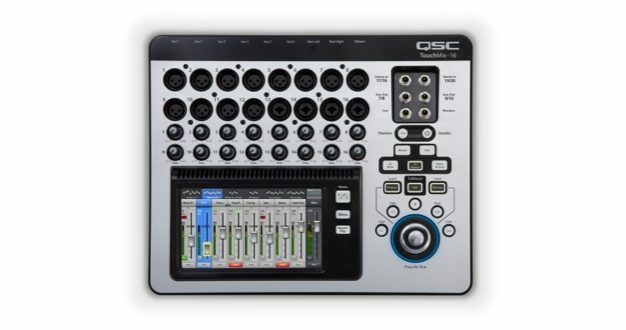 It seems like there is a smorgasbord of new small digital consoles on the market, including the QSC Touchmix-16, which I’ve been using in recent months. It’s a 16-channel digital console with practically everything you can imagine built-in. The past few weeks have been a whirlwind: the Kristin Korb Trio tour in Sweden and the United States; a tour with the vocal group Lines for Ladies; and finally, a jazz cruise with JazzDagen from Costa Rica to Miami. Manning the helm at FOH, I’ve tried to travel light with a number of the microphones I need – all DPA and Neumann – a TC Helicon monitor and a small digital console. 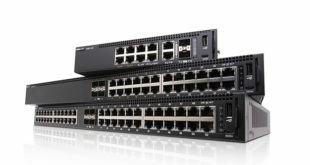 I typically only use around 10 to 12 channels, so it is not a major production. You’ve surely experienced this as I have: every venue seems to have a different console. If it’s one of the new digital consoles, it takes a minute to find your way around (while you keep telling yourself that you really are a sound engineer). In touring scenarios like mine, why not travel with your own mixer? The TouchMix-16’s main features include 16 input channels, eight to 10 auxes, four effects channels plus basic recording capabilities. 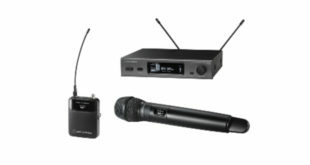 Using its pre-programmability – setting parameters before the gig – setup is very quick; users then simply name main channels, monitor channels and effects. TouchMix’s built-in Wizard allows effects to be set up swiftly and easily. I have now been on tour with the TouchMix-16 for several weeks, first with the Kristin Korb Trio – vocal, bass, piano and drums – using a 10-channel set up with only one monitor. My normal procedure is this: I begin by playing some tunes through the PA just to get used to the room; I rig everything else up while the band warms up; and finally, I play my PA test tune – Bill Cantos’ Don’t Say A Word – for EQing purposes. The EQ on the TouchMix-16 – a 1/3-octave graphic EQ with four-band parametric on stereo auxes – works great. I quickly discovered the Touch-Mix-16’s intuitive nature. On purpose, I did not read its manual before I turned it on. Just like arriving at a venue with an unfamiliar console, I wanted to see if I could figure it out right away. I did, yet when I hit a wall and wanted to flick through a manual, it was right there at the press of a button: I simply clicked INFO on the right side of the mixer. How cool is that? After the Sweden tour, we did two weeks in Germany for the Lines for Ladies tour featuring five vocals, four monitors plus piano and bass. The shows ranged from a 500-seat church to a variety of small jazz clubs. One gig included a ‘PA’ mounted on the back wall; that was interesting, to say the least, with the five vocal mics up front. Again, the onboard EQs and notch filters helped me. I finally disconnected the two frontline monitors (since they just made it all sound like an undefined cheese sauce). I used two DPA d:facto II and three Neumann KMS 105 live vocal mics; the preamps in the console complemented the mics very well. Speaking of preamps, a common concern with modern small live mixers is preamp and effects quality. In general, preamps are getting better, yet effects remain questionable from mixer to mixer. That said, I like the TouchMix-16’s effects; its range of parameters allow for some fine ’verbs. 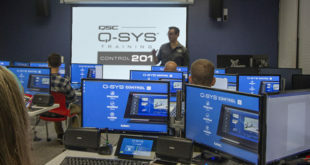 Yes, I did connect a TC Electronic reverb to the TouchMix’s aux channels before the tour – and it was nice – but I had no space for more gear on this tour and what QSC offers was fine. 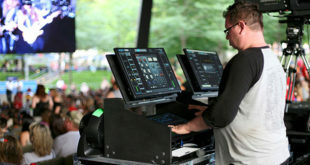 In every venue I used the console, QSC’s iPad app was used as the control surface. While you’ll miss the beautiful dial knob on the TouchMix, it works fine with the iPad. I rarely touch the app’s ‘faders’, but instead use the Nudge +/- buttons on the right side of the controller. You can set it in Normal or Fine Control mode for smaller adjustments. It took me a couple of shows to discover that this was the thing to do. TouchMix also offers a number of recording features – all individual channels via multitrack capabilities – so I bought an SSD with converter cable and connected it to the USB port on the backside of the console. I’ve recorded a few shows and it sounds very clean; I can’t wait to get home and try recording my grand piano with this unit. On the back panel, there is an Ethernet port; whether it is for a future LAN stage box connection, I don’t know. If I could hook a router up to it, I believe the network connection would be stronger. For what you get, the TouchMix-16’s price (at $1,299 street) is amazing. I will be travelling with the Touchmix-16 wherever I go from now on. Morten Støve co-founded DPA Microphones and is front-of-house/recording engineer for jazz vocalist/bassist Kristin Korb.